I don’t know about you but we STILL have leftover Halloween candy. In December. I really like to freeze snickers after Halloween for holiday baking- because then I have them on hand for delicious Snickers bar recipes like this one! These Snickers Bar Pillow Cookies are like pillows of delight!! Mix softened cream cheese, butter, and flour with dough hook attachment on mixer. Chill dough for 1-2 hours. On a well floured surface, roll the dough out to approximately 1/8″ thick. 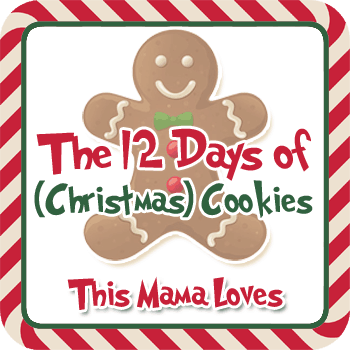 Using a knife or a 2″ square cookie cutter, cut dough into 2″ squares. Transfer to cookie sheet. Sprinkle a small amount of the chopped Snickers and chopped chocolate chips into the center of each square. With a small brush, moisten the edges of the square with water and place a second square of dough over top of the first to create the “pillow”. Pinch the seams together. 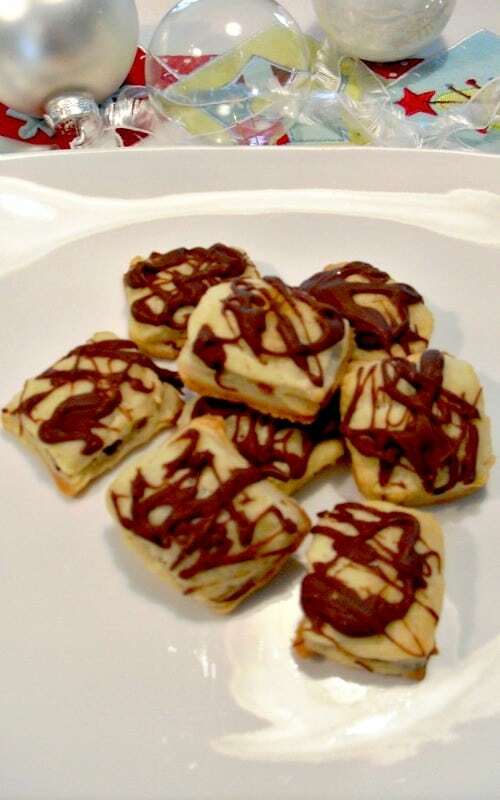 Allow cookies to cool and drizzle with melted chocolate or a thin confectioners’ sugar icing. These look so yummy! Today is a rainy day and this will be a perfect way for us to spend the afternoon! These look so yummy! I love Snickers candy bars.